Mustache wax has added bees wax to help style your mustache any which way you want. Even Salvador Dali would be impressed. Our waxes are smooth and offer the right amount of oils to ensure your mustache doesn't look greasy. 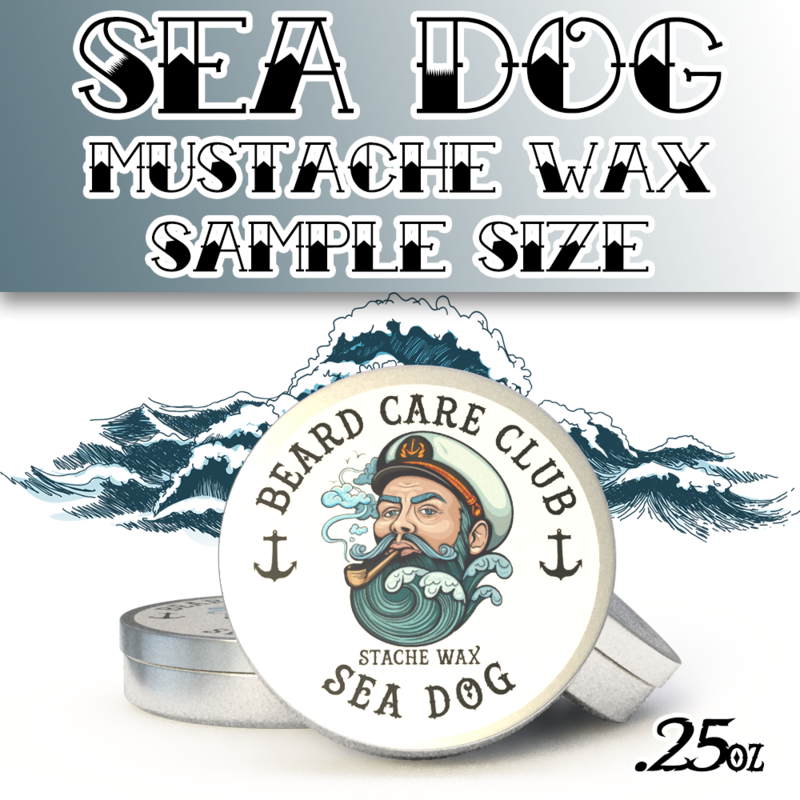 Sea Dog is what we think an old school sailor would smell like on his first night in port. A little sensual, a dash of adventure, definitely a bit mischievous. Wrap all that up with a manly musk and you have yourself a winning scent. Start turning heads on your next adventure. Sea Dog is scented with: Spiced Citrus, Water Lily, Jasmine, Cedar, Patchouli, Sandalwood, Vanilla, Dark Musk, and Amber.